The best football simulation game comes back to us in an even more successful PC edition than the previous versions. On FIFA 16, you can enjoy improved graphics, an unparalleled sound experience and outstanding gameplay. The game designers wanted to push the limits of simulation by proposing 25 innovations in defensive travel. The game's handling is even more intuitive and the comments even more realistic; enough to immerse you completely in the universe of your favorite teams and their magnificent stadiums. In fact, nine new stadiums have been added to this year's edition. In the PC demo you will have the choice between 10 clubs: Chelsea and Manchester City for fans of the First League, Barca and Real Madrid, the Germans of Borussia Dortmund and Borussia Mönchengladbach, PSG of Zlatan and Di Maria, Inter of Milan, River Plate and Seattle Sounders. The big innovation this year is the arrival of women's teams (only the selections). In the demo, you can play Germany against the USA to get an idea. FIFA 16 has also innovated with the FUT Draft mode which allows you to compete in a series of 4 knockout matches for rewards. To participate in DRAFT, you will need to pay virtual credits, draft tokens or FIFA points. You can then compose your team according to the individual qualities of your players and the team. 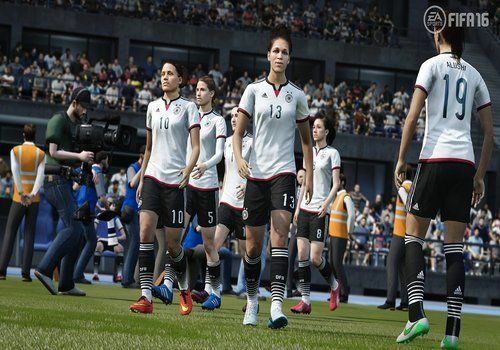 The FIFA 16 demo will be available and downloadable by 10 September at the latest. In the meantime, prepare your controllers. FIFA 19 is a football simulation eagerly awaited by the community of fans of the famous game. Beyond its eternal confrontation with PES, the players hope above all to discover real improvements, new technical gestures and more accomplished modes. A World Cup mode directly integrated into FIFA 18. This mode will be available free of charge. The new PES comes with its share of graphic improvements but also in gameplay. Football Director 2019 is a management game in the world of football. This is an interesting alternative to the tenor of the genre: Football Manager.